I can listen to narrator Erin Mallon read a telephone book. She delivers sarcasm in a raspy voice with perfection along with Joseph Discher. Together they set the perfect tone with humor and keep you in the game. This second chance romance is told from two perspectives, so it’s appropriate that Erin Mallon and Joseph Discher share the narration. The plot alternates between the past as it follows Charlotte and Grayson’s love/hate relationship in college and the present when they meet by change again at their college reunion. Charlotte, an artist and gallery owner and Grayson, NFL Superbowl MVP champion rekindle their romance . Mallon delivers a performance to savor Charlotte and Grayson’s tangled emotions in the mysery surrounding their seven year estrangement. 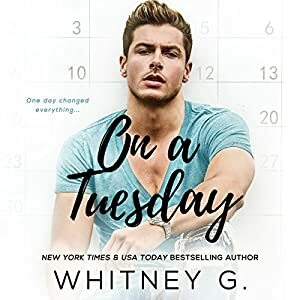 Football, romance and regret make for the perfect treat to round out your summer romance audio.